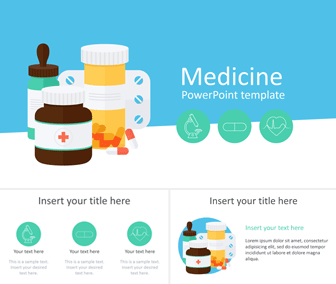 Support your message with this medicine PowerPoint template in flat design style. This free template features a detailed illustration of pills bottles and tablet along with medical drops bottle on a blue background. 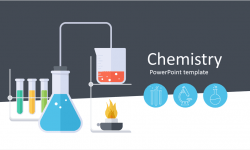 On the right side, under the presentation title, there are three icons; a microscope, a pill, and a heartbeat icon. 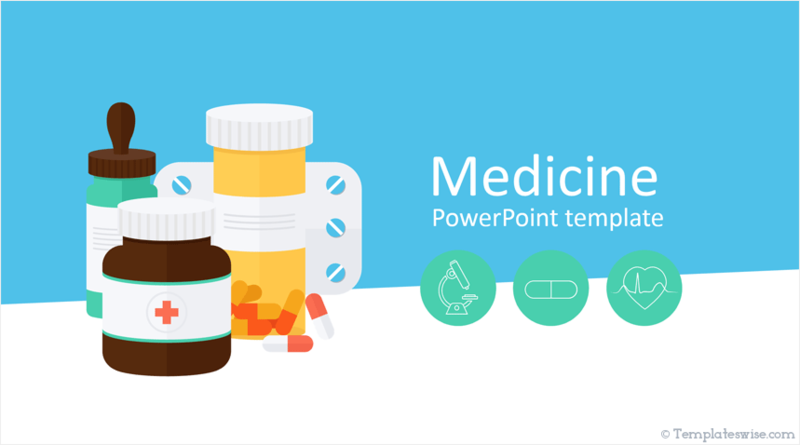 This medicine ppt template includes four ready-made content slides that you can modify in the slide master view in PowerPoint. 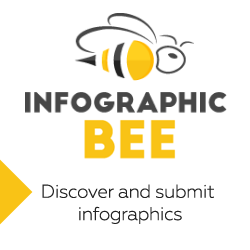 Use this theme for presentations on health care, medicine and drugs misuse, the pharmaceutical industry, etc. 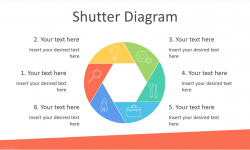 See also our Medical PowerPoint Template with the same color palette.